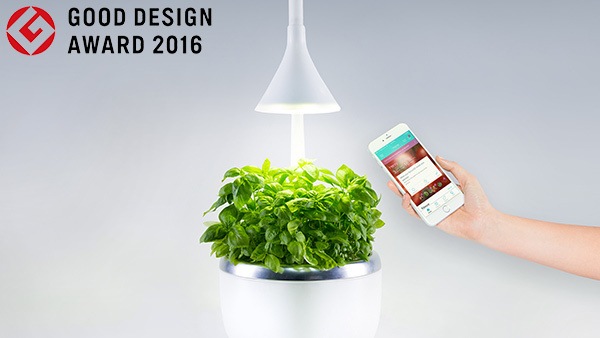 The Chicago Athenaeum Museum of Architecture and Design recently selected SproutsIO as a winner of their prestigious Good Design Award! Created in 1950, the Good Design Awards honor design excellence in industrial, graphic, and product design. Each year a jury of influential designers selects the most innovative and cutting-edge designs from submissions sent from around the globe. Winners become a part of the Chicago Athenaeum's permanent collection and carry the Good Design Award logo which signifies the highest level of design excellence. It is rare for a startup to be included as a winner alongside Fortune 100 companies, well-known brands, and established design firms. We are honored to be selected as a winner in the "Household" category for 2016.